Yonaten Donner, grand architect of the legendary Hell Revealed, has but a few other works to his name. 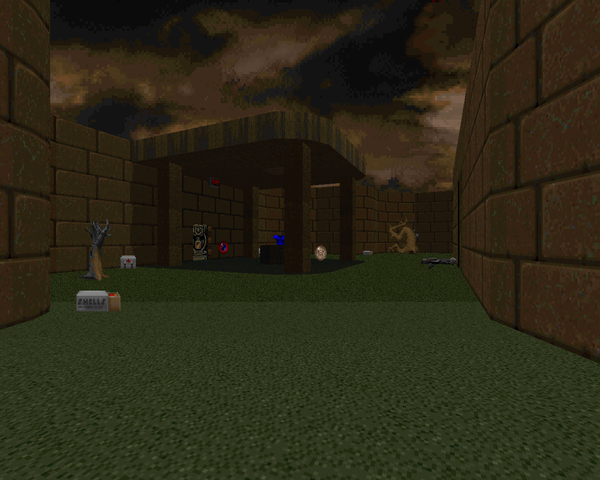 Dead Perfect, a pairing of two short maps released to celebrate Doom's fifth birthday, draws from two of the author's contributions Team TNT's Pursuit, a deathmatch megaWAD released in '97: "Broken World"(MAP17 in TNTPURST, MAP02 in HRB) and "The Holy Goat" (MAP30 in TNTPURST, MAP01 in HRB). The levels are conversions from deathmatch to single player, though the layouts are unmistakably oriented toward multiplayer. Donner has crammed plenty of monsters into very tight places and has a few traps to keep you on your toes. It's all-out Hell Revealed style gameplay, with both levels beginning in the middle of a brawl, forcing you to manage several hazards while you make some breathing room. Truth be gold, neither level in Dead Perfect is very difficult to play through with a little caution. The challenge arises for speedrunners attempting to blaze through these jam-packed arenas of death. The small scale of the maps makes for great, bite-sized trials which is nice if you thought Donner's longer challenges ("Ascending the Stars", "Post-Mortem") were too exhausting. 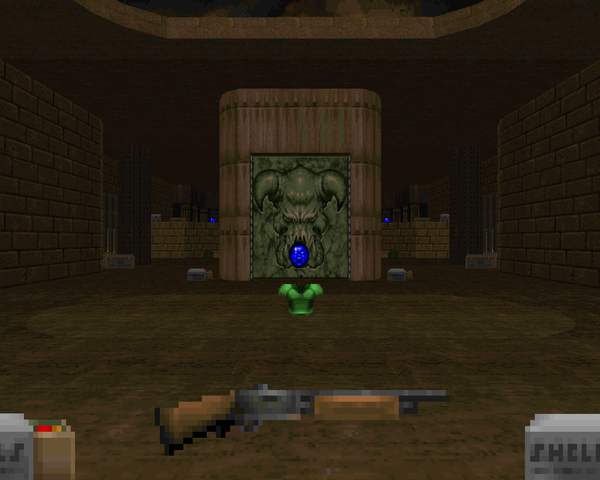 If you loved Hell Revealed (or slaughter maps in general) and are looking for a classic high, you'll probably enjoy Dead Perfect. Then again, I doubt that those who adore HR and Donner's mapmaking have somehow avoided HRB after all these years. 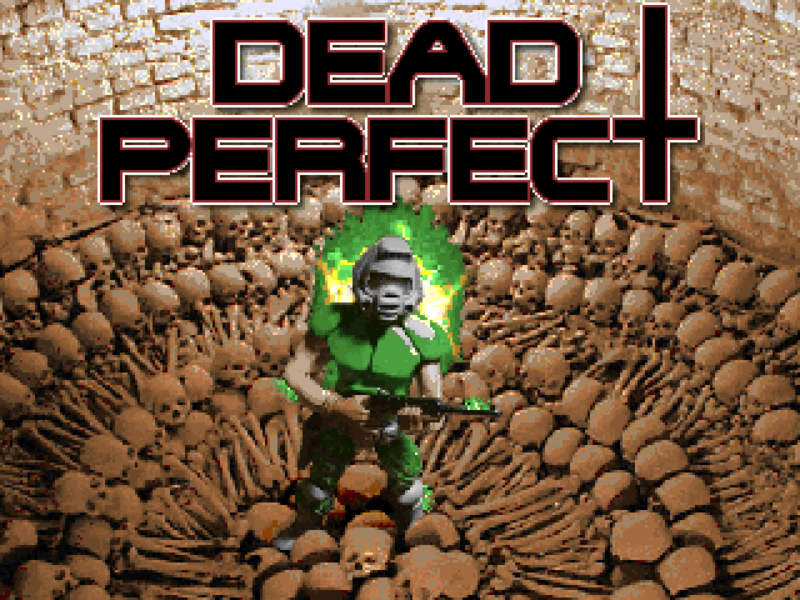 Rather, Dead Perfect works great as an introduction to the kind of hectic, slaughter-style gameplay that has carved out its own niche in the community's conscience. If you're on the fence with this sort of stuff and want something a little less daunting (maybe more like what the first few levels of Hell Revealed should actually have been? ), then Dead Perfect is a great taste test. Starts out in a really crowded room but after inciting a little infighting via the chaingunners and mancubi, you should have enough breathing room to nick the SSG from the arch-vile so you can start making things safe. 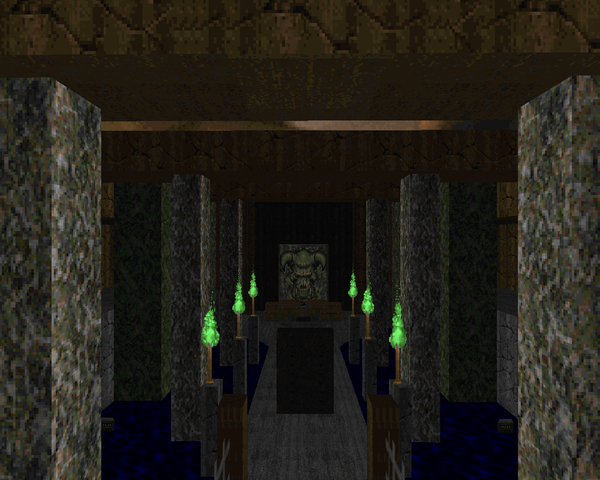 Once the main room's cleared out, the rest of the level is pretty simple, dealing with two packs of demons and then the wave of revenants before the obligatory end of level Cyberdemon, which might be a little tricky with the height disparity. 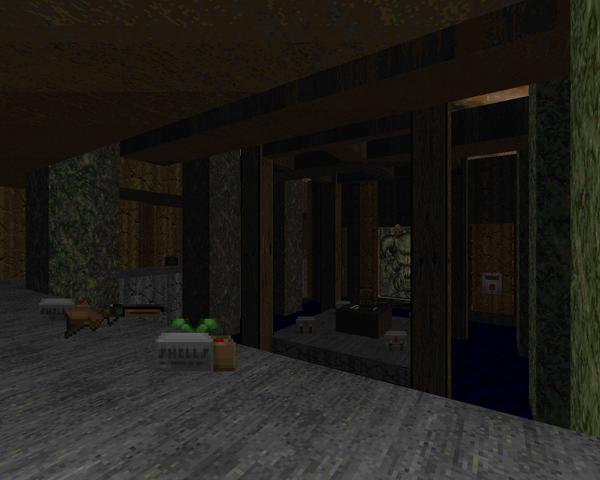 The map has a nice look, with two tiers of play and a handsome staircase leading up. The second level in the set is packed a bit more densely. The first room's a little odd to sort out with the mancubi on the floor and the wave of chaingunners when you're down in the pit. The second, not so much. It's got a strange arrangement as all the things in the room keep the floaters from moving around, but the revenants on the back end are a good little challenge before the main event, a Cyberdemon surprise with commandos at your sides. It's got a nice aesthetic, kind of a "Circle of Death" turned inward as only Donner could do.